Before I continue, I want to thank TIFF for making these short films available to me. For at least the next week, each group of nominated Shorts will be playing at the TIFF Bell Lightbox in Toronto every day. So if you have a chance, be sure to check them out. I have included links to ticketing info below. 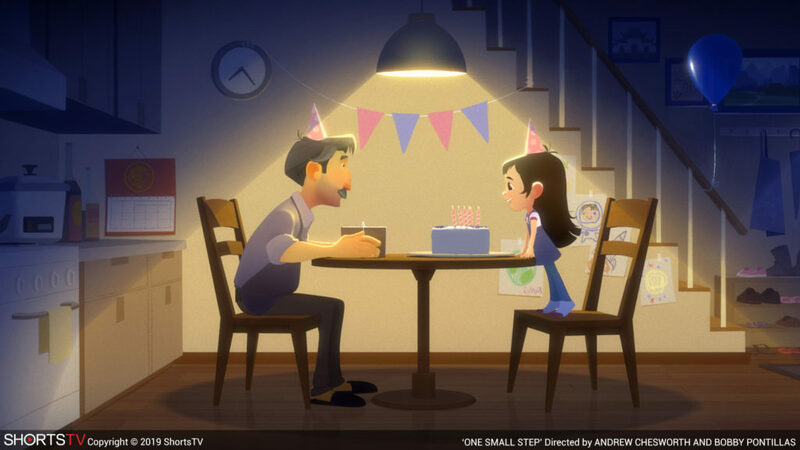 I always thought that the Animated short films nominated for Oscars were cutesy and featured little to no dialogue. How ignorant of me to think! There are some heady and deep ideas at work within all five of these exquisitely animated films. Bao was easily my favourite of this group. I had caught this Short last June when it was attached to Incredibles 2, and I remember being blown away and left about three breath shorts of a weeping mess. That feeling remained when I watched it again here, but I managed to mostly keep my composure this time around. 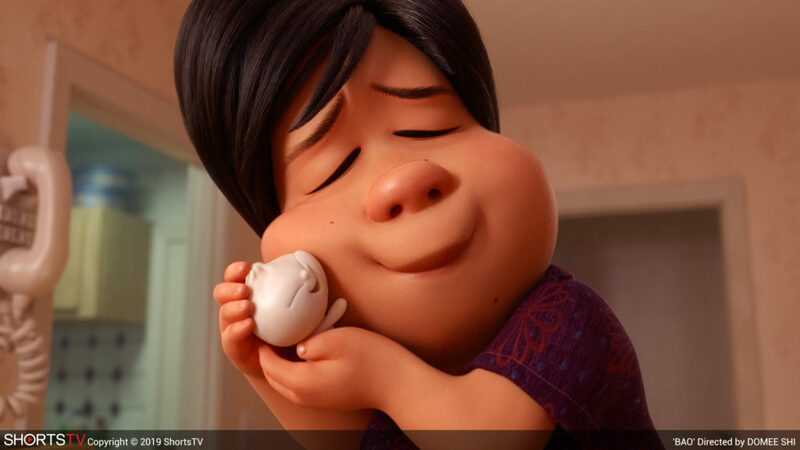 The short revolves around an aging Chinese mother who takes on parental duties when one of her dumplings comes to life. I love the style and locations here (the film takes place in Toronto in and around the area where my future wife lived before we moved in together), the amount of culture squeezed into 8 minutes and the deeply moving twist at the end. If Pixar stands to lose Best Animated Feature to Spider-Man: Into the Spider-Verse this year, it likely has this one in the bag. Animal Behaviour was another favourite from this group, and was another film I had managed to watch previously — this time in the Press lounge during TIFF’18. It revolves around a therapy session for a group of animals and the chaos that ensues after a new member joins the group. It’s a clever and funny short (and one of the longest in this group) that really excels at highlighting the behavioural details of each character. Being a cat owner, I especially gravitated towards how the cat was depicted here. While some parts get a touch dark, this is easily the lightest and least serious of the nominees. One Small Step is about a young girl who dreams of becoming an astronaut and the hardships she faces trying to achieve that goal. I enjoyed this one as well, but did not feel like it told a complete story. There were elements missing and I was not fully satisfied by the ending (even if it reminded me of the finale of a much longer Oscar-nominee). But I will contend — the animation here is probably the most beautiful of any of the nominees. Late Afternoon concerns an old woman living with some form of Alzheimer’s, reflecting on the past and present through her fragmented memories. The animation style here is quite interesting (and reason enough for hand drawn animation to remain a style), as is the super depressing storyline. It achieves quite a bit in its short time and the imagery lingers for a long time afterwards. I liked everything the filmmakers were going for here, but I just did not love it the same way I loved Bao and Animal Behaviour. Weekends is the last of the nominees, and one of the most personal. It revolves around a young boy going back and forth between his divorced parents (in 1980s era Toronto no less), and how his relationships change when they introduce new partners into the mix. The film is frustratingly episodic by design, and annoyingly blends nearly every moment together with its use of dream-like visuals. There are multiple meanings wrapped through all 15 minutes of the film, but it just never grabbed me the way it should. I smiled through parts of it, but was left fairly uninterested by everything that happens. While the Animated films had some element of fun involved within them, the Live Action films were not so lucky. Remember how I mentioned early on that this year’s crop of nominated shorts were generally bleak and depressing? Well that goes double for these films. Marguerite is the least consequential of the nominees, even if it details the story of an ill eldery woman as she reflects on the past with her caretaker. It tells a good story and packs in wonderful performances by the two leads, but it feels a bit stilted in some areas and cuts to black a bit too often. I needed a bit more depth in order to feel something during the film’s emotional climax. And while I grimaced during a brief gross-out moment, there just was not enough for me to care about here. Madre is a pressure cooker of a little thriller, telling the story of a mother at home in Spain slowly unravelling as her son calls and tells her he’s lost and alone in the French Countryside. The energy and stakes go from one to one million in about three seconds flat, and the genuine frantic terror on display here is something to truly behold — despite the film being told entirely in the mother’s apartment. The ending is less than satisfactory considering how intense everything was before hand, but the film kept me on my toes throughout its 19-minute running time. Fauve was a movie I watched before bed and immediately regretted. It centers on two young boys horsing around near a surface mine and the consequences that occur when you are not paying much attention. While the film has some logistical issues, it is also tense, immediate and emotional. The child performers here are remarkable, and the emotion they are able to squeeze out in 17 minutes is extraordinary. This one knows exactly when and how to gut punch you. Skin was a disturbing and deeply uncomfortable watch. It revolves around a young boy idolizing his racist Neo-Nazi father and the fallout that occurs after a group assault on an African-American man. Unlike the other films nominated here, this one stars people you might recognize like Danielle Macdonald from Dumplin’ and Bird Box, and Lonnie Chavis, who plays the younger version of Randall on This Is Us. My mouth was agape for much of this film, with the ending landing somewhere between shocking and silly (and made significantly more bizarre when I tried to explain how it plays out to my wife). I get the twisted message the filmmakers are going for here, but it feels a bit too heavy handed and unrealistic. Detainment is my pick for the best film of the Live Action, and was easily the most harrowing, disturbing and vivid of any of the shorts — mostly because it is based on a true story. The film dramatizes the events and interrogations of two young boys who murdered a child in an English village in the early 1990s. The dialogue is based off interview transcripts and records (but has been embellished in some areas), adding an extra layer of horror and disgust to the proceedings. Listening to the details is sickening, but I was unable to take my eyes off the two young leads playing the boys accused of murder. Their emotional range is staggeringly good and often downright devastating. I was unable to look away, shocked that this could have ever happened — especially because I already knew parts of this horrible story. The film has been embroiled in a controversy involving the mother of the real life murder victim, who has been asking and pleading for the Academy and the film’s director to withdraw the film from contention. There’s even a petition online signed by more than 250,000 people looking to have the film banned. And while I can only pretend to understand why people wants this to happen, I hope it doesn’t — because this is an incredible short film that left me positively shook after watching it. I’m still feeling uncomfortable and uneasy just writing about it.